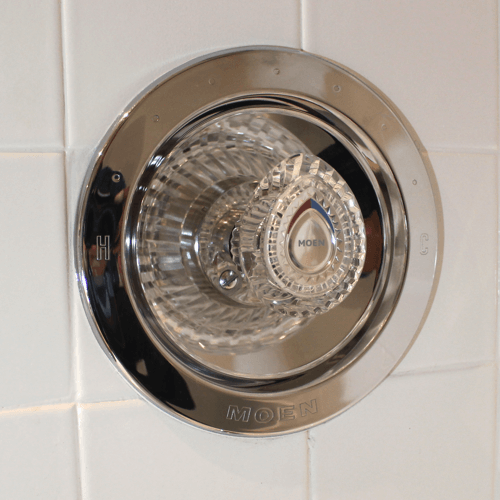 Repairing a bathtub or shower valve is generally preferable to installing a new one when it begins to leak or corrode, largely because replacing the valve is a much more time consuming project. Although it can require specialized tools and technique, a valve repair can save money and preserve any style match with bathroom hardware. With bathtub and shower valves, and with widespread faucets, the trim (shinny parts) can often be replaced as part of a repair, however obtaining the correct trim for your valve or faucet can add to the cost. Kitchen faucets and 4 inch lavatory faucets are a little different since it is usually not possible to replace the faucet trim. And although the designs and tolerances of faucets are generally better now than they were 30 years ago, their finishes don’t seem to be as durable as those of their antecedents. Therefore, most modern faucets are repairable, but the condition of the faucet finish is a key consideration when deciding between repair or replacement. If you decide to go with a replacement, you will gain the ability to choose a new style or add features. A modern faucet should last somewhere between 5 and 15 years depending on its finish, the installation environment, and the quality of maintenance it receives.